The great Israeli statist comments on allegations of the Syrian President's bombing the city of Khan Sheikhoun on April 4, and of using lethal gas against his people. But there is no evidence to condemn Assad. In Syria, "everyone is fighting with everyone against everyone." Trump's punitive attack against the will of US generals and with media applause, "unconscious prisoners of lies". 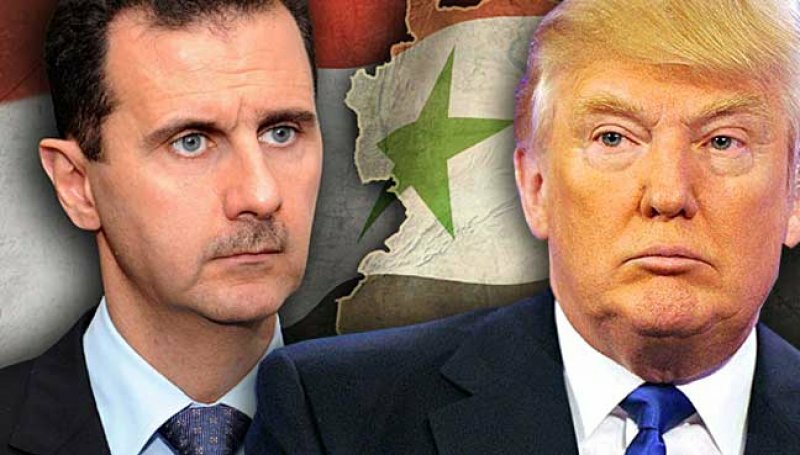 Jerusalem (AsiaNews / Gush Shalom) – Conan Doyle, the creator of the legendary Sherlock Holmes, would have titled his story about this incident "The Bizarre Case of Bashar al-Assad". It concerns the evil deeds of Bashar al-Assad, the Syrian dictator, who bombed his own people with Sarin, a nerve gas, causing gruesome deaths of the victims. And yet, I am a professional investigative journalist. For 40 years of my life I was the editor-in-chief of an investigative weekly magazine, which exposed nearly all of Israel's major scandals during those years. I have never lost a major libel suit, indeed I have rarely been sued at all. I am mentioning this not to boast, but to lend some authority to what I am going to say. In my time I have decided to publish thousands of investigative articles, including some which concerned the most important people in Israel. Less well known is that I have also decided not to publish many hundreds of others, which I found lacked the necessary credibility. How did I decide? Well, first of all I asked for proof. Where is the evidence? Who are the witnesses? Is there written documentation? But there was always something which cannot be defined. Beyond witnesses and documents there is something inside the mind of an editor which tells him or her: wait, something wrong here. Something missing. Something that doesn't rhyme. It is a feeling. Call it an inner voice. A kind of intuition. A warning that tells you, the minute you hear about the case for the first time: Beware. Check it again and again. This is what happened to me when I first heard that, on April 4, Bashar al-Assad had bombed Khan Sheikhoun with nerve gas. My inner voice whispered: wait. Something wrong. Something smells fishy. First of all, it was too quick. Just a few hours after the event, everybody knew it was Bashar who did it. Of course, it was Bashar! No need for proof. No need to waste time checking. Who else but Bashar? Well, there are plenty of other candidates. The war in Syria is not two-sided. Not even three- or four-sided. It is almost impossible to count the sides. So in this bizarre battlefield, how could anyone tell within minutes of the gas attack that it was Bashar who did it? Political logic did not point that way. Lately, Bashar has been winning. He had no reason at all to do something that would embarrass his allies, especially the Russians. The first question Sherlock Holmes would ask is: What is the motive? Who has something to gain? Bashar had no motive at all. He could only lose by gas-bombing his citizens. Unless, of course, he is crazy. And nothing indicates that he is. On the contrary, he seems to be in full control of his senses. Even more normal than Donald Trump. I don't like dictators. I don't like Bashar al-Assad, a dictator and the son of a dictator. (Assad, by the way, means lion.) But I understand why he is there. Until long after World War I, Lebanon was a part of the Syrian state. Both countries are a hotchpotch of sects and peoples. In Lebanon there are Christian Maronites, Melkite Greeks, Greek Catholics, Roman Catholics, Druze, Sunni Muslims, Shiite Muslims and diverse others. The Jews have mostly left. All these exist in Syria, too, with the addition of the Kurds and the Alawites, the followers of Ali, who may be Muslims or not (depends who is talking). Syria is also divided by the towns which hate each other: Damascus, the political and religious capital and Aleppo, the economic capital, with several cities – Homs, Hama, Latakia - in between. Most of the country is desert. That's why Bashar continues to rule. The different sects and localities are afraid of each other. They need the dictator. What does Donald Trump know about these intricacies? Well, nothing. He was deeply shocked by the pictures of the victims of the gas attack. Women! Children! Beautiful Babies! So he decided on the spot to punish Bashar by bombing one of his airfields. After making the decision, he called in his generals. They feebly objected. They knew that Bashar was not involved. In spite of being enemies, the American and Russian air forces work in Syria in close cooperation (another bizarre detail) in order to avoid incidents and start World War III. So they know about every mission. The Syrian air-force is part of this arrangement. The generals seem to be the only half-way normal people around Trump, but Trump refused to listen. So they launched their missiles to destroy a Syrian airfield. America was enthusiastic. All the important anti-Trump newspapers, led by the New York Times and the Washington Post, hastened to express their admiration for his genius. In comes Seymour Hersh, a world-renowned investigative reporter, the man who exposed the American massacres in Vietnam and the American torture chambers in Iraq. He investigated the incident in depth and found that there is absolutely no evidence and almost no possibility that Bashar used nerve gas in Khan Sheikhoun. What happened next? Something incredible: all the renowned US newspapers, including the New York Times and The New Yorker, refused to publish. So did the prestigious London Review of Books. In the end, he found a refuge in the German Welt am Sonntag. For me, that is the real story. One would like to believe that the world – and especially the "Western World" - is full of honest newspapers, which investigate thoroughly and publish the truth. That is not so. Sure, they probably do not consciously lie. But they are unconscious prisoners of lies. Some weeks after the incident an Israeli radio station interviewed me on the phone. The interviewer, a right-wing journalist, asked me about Bashar's dastardly use of gas against his own citizens. I answered that I had seen no evidence of his responsibility. The interviewer was audibly shocked. He speedily changed the subject. But his tone of voice betrayed his thoughts: "I always knew that Avnery was a bit crazy, but now he is completely off his rocker." Unlike the good old Sherlock, I don't know who did it. Perhaps Bashar, after all. I only know that there is absolutely no evidence for that.